A stunning 18ct White Gold Necklace with a central fixed row of graduating Diamonds: the largest stone in the middle and three smaller Diamonds at either side. 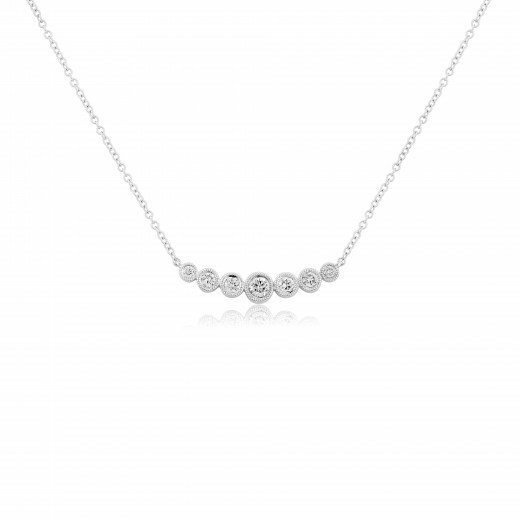 The Necklace sits perfectly on the body and has a fine White Gold chain. 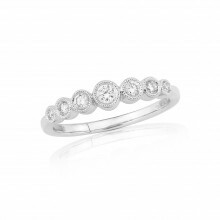 Modern elegance and traditional craftsmanship combined.